Does your teen have a strategy to avoid negative gossip? When teens are a part of a community or group of friends, it is important for them to be aware of what is going on with other people. This helps them feel connected to the larger group as well as form deeper relationships and closer friendships with some. An added benefit is that at times knowing something can help your teen be empathetic. For example, if your teen heard that someone just broke up, and then that person snaps at them during a science lab, it will be easier for your teen to be compassionate. Sometimes having the general community know the “gossip” can improve the community. However, this really depends on how the information is shared. When I work with teens, I like to help them understand the difference between negative and neutral gossip. Here is an example, that you can use, to help your teen recognize the difference. Let’s say that Sally and Jack, who have been a couple at school for a year, just broke up. Neutral Gossip: They have been together forever, I can’t believe they broke up. Negative Gossip: I heard Jack is a real jerk, and I am really glad she broke up with him. While one of Sally’s friends might have a really valid reason for their opinion, they shouldn’t spread negative talk about Jack to the whole community. It is fine to have discussions like that with a close group of trusted friends, but if your teen isn’t friends with Sally and Jack then this type of discussion is spreading negative gossip. Nonetheless, it is really tempting to want to hear and talk about all the juicy details. Helping your teen understand how to participate in neutral gossip and how to exit and avoid negative gossip is a great tool to help your teen navigate their social world and remain a trusted friend that people can count on and a respected member of the community. If your teen is chatting with a group of peers and another teen starts gossipping negatively, your teen needs a plan to avoid getting caught up in it. Say, “This conversation makes me feel uncomfortable because I feel that we are being a bit mean to _____. Can we talk about something else? The last option takes a bit more courage, but it is powerful because it clearly states how your teen feels without solely blaming the person who is actually gossipping. Additionally, if the person who was being gossipped about confronts your teen, then they have a clear example of how they stood up for them. Your teen’s best exit strategy depends on their location. For example, going to the bathroom would work if they’re at someone’s house and putting on headphones could work if they were on a bus. If the other teens are so wrapped up in the negative gossip, then your teen’s absence won’t be that big of a deal. Consistently treating others the way you would like to be treated is a core value that all teens would benefit from adopting. 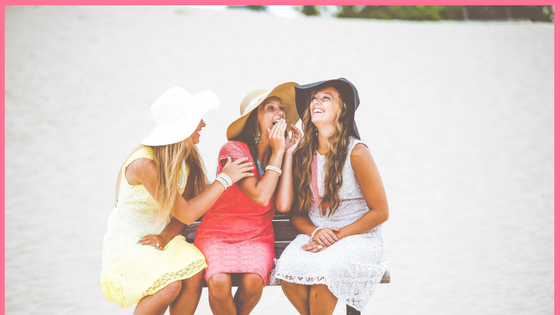 Your teen needs to decide that refraining from gossipping is an important value that they will not compromise. If someone is gossipping negatively about someone with you, then what are they saying about you when you are not around? Is my temporary fun worth someone else’s long term hurt? How would you feel if the person found out what you said? Once your teen has committed to avoid negative gossip, they need to make it a habit. A great strategy for this is to have them wear a bracelet and designate it as a reminder to avoid negative gossip. Then, if your teen catches themselves gossipping, they switch the bracelet to the other hand. Obviously, the goal is to leave the bracelet on the same wrist all day, but seeing how often they need to switch it each day makes your teen conscious of how often they gossip and helps motivate them to do a bit better the next day. While it is NOT your teen’s job to solve this problem, understanding the root cause of negative gossip gives your teen a perspective that allows space for compassion for the gossiper. It also makes it easier for your teen to take a stand and voice their concerns. If social situations or speaking their mind is stressful for your teen, then grab a copy of my Stress Less Guide here and learn my top five strategies your teen can start using today to stress less and remain happy and healthy in school and beyond.